Working to make sure you know "what's on tap." Keg Cap Tap™’s origins are simple–to answer the question of “what’s on tap?” for those with home kegerators. At the same time, we’ve evolved into a social community that shares knowledge, history and enthusiasm about craft beers. Through this community of friends, family and fellow beer enthusiasts, we have remained focused on answering the question of what’s on tap, while showcasing and embracing our roots – a Colorado born company that is proud to be a member of the growing craft and microbrew industry in Colorado. The perfect tap handle for every keg. The Keg Cap Tap™ handle is the only tap handle you'll ever need for your home kegerator. Take the removable plastic keg cap, which has the beer name on it, from the neck of the keg, and snap it onto the original, patented handle to show what's on tap. It's easy! Works great for homebrews too. Write your brew name on our blank or custom printed caps. Mount a standard tap handle to a metric threaded faucet. To answer the question of “what’s on tap,” Keg Cap Tap’s owner and inventor, Matt Ferris, set out to develop a universal tap handle that would work with home kegerators to be used over and over again. The solution needed to be easy and inexpensive. 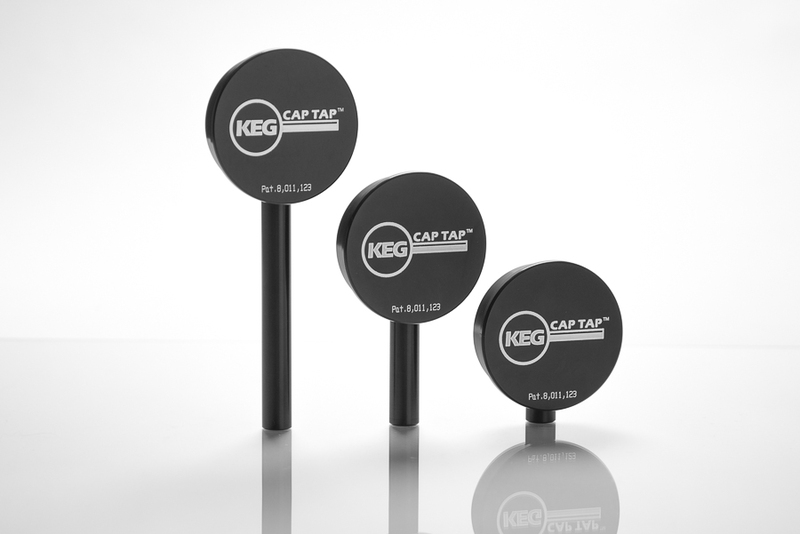 Keg Cap Tap provides simple tools that kegerator owners, like us, can use to make their home kegerator experience more enjoyable, dependable and simple. Never again will someone be confused about the type of beer that is on tap.